Established in 1995, Movistar is a telecommunications company owned by Telefónica, one of the largest telephone operators and mobile network providers in the world. 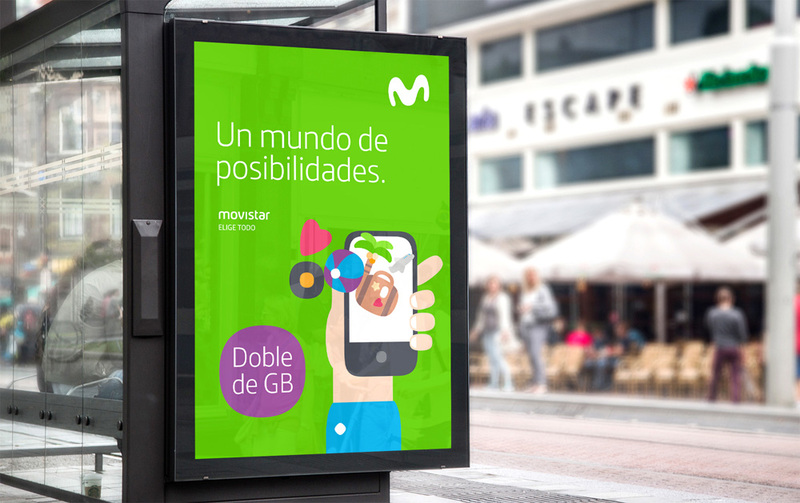 Movistar is Telefónica’s Spanish-speaking market brand operating in 14 countries, including Spain where it is the largest mobile phone operator with more than 20 million customers and where it also offers landline, broadband, and pay television services. 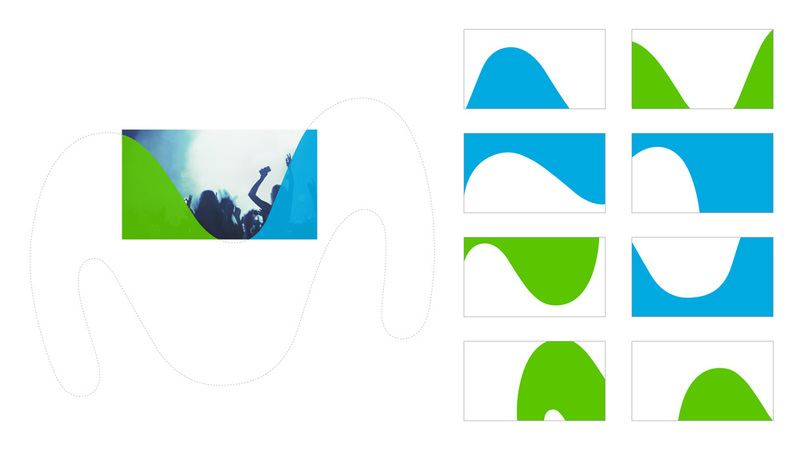 Recently Movistar introduced a refreshed identity designed by Lambie-Nairn. A reminder of how this logo started back in 2004. 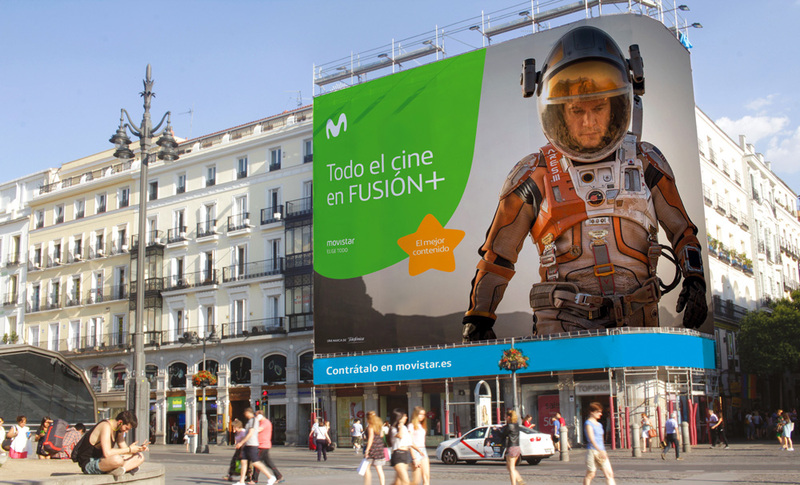 Lambie-Nairn has refreshed the Movistar brand and its visual identity to adapt it to the new digital arena, as well as to match the size and scale of other great global, iconic brands. According to Telefónica, Lambie-Nairn designed the new brand identity as “an evolution created to symbolize the new business challenges and company positioning”. 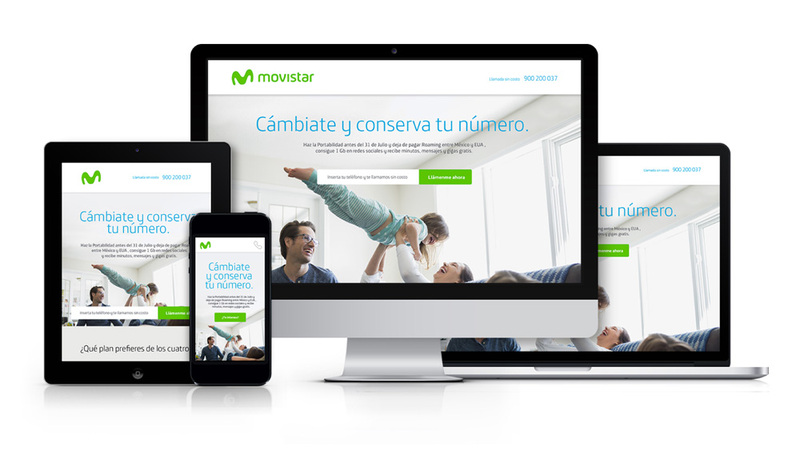 The new identity makes Movistar a “more vibrant, modern and flexible brand, more suited to new digital environments”. Tim Simmons, Managing Creative Director of the Lambie-Nairn office in Madrid, explains how they decided to “redraw the ‘M’, turning it into a flat symbol and then, from its curves, create a simplified, coherent visual language that can be easily applied. 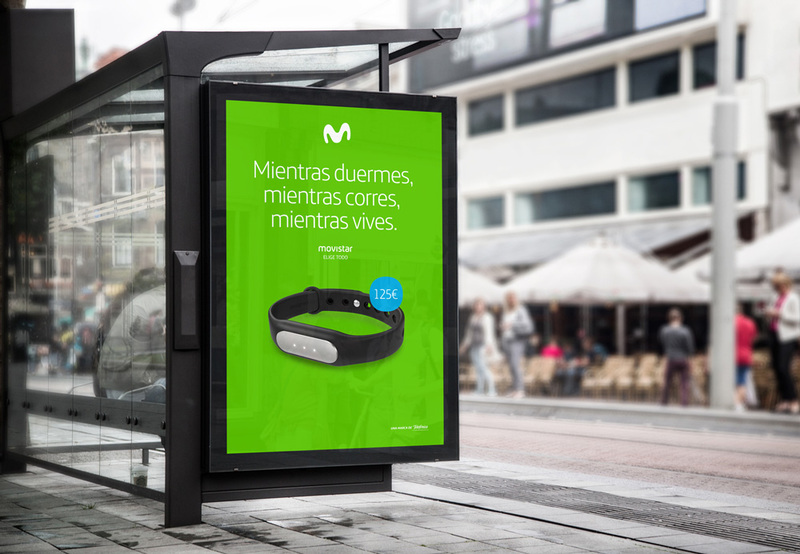 “The new visual style, he says, “is unique and exclusive to Movistar’s iconic “M” and its new colour palette ” is a refreshing change that expresses more emotion and modernity, shining in new digital environments with a rejuvenated energy and attitude”. 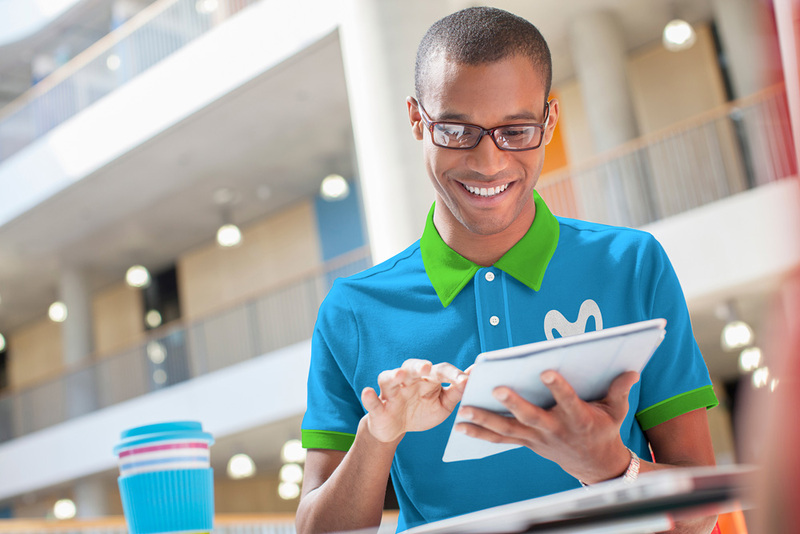 I remember being in shock the first time I saw the original “M” Movistar logo. It was probably in Mexico as I haven’t been to Spain in a long time. I couldn’t believe that, neither a design firm nor a client would, independently or jointly, collude to unleash such a monster into the visual landscape. But did they do and they plastered it everywhere, from their own advertising to plenty of high-visibility sponsorships and in the time since, it has become easily (too easily) recognizable even as it moved into more of a Play-Doh aesthetic in recent years. 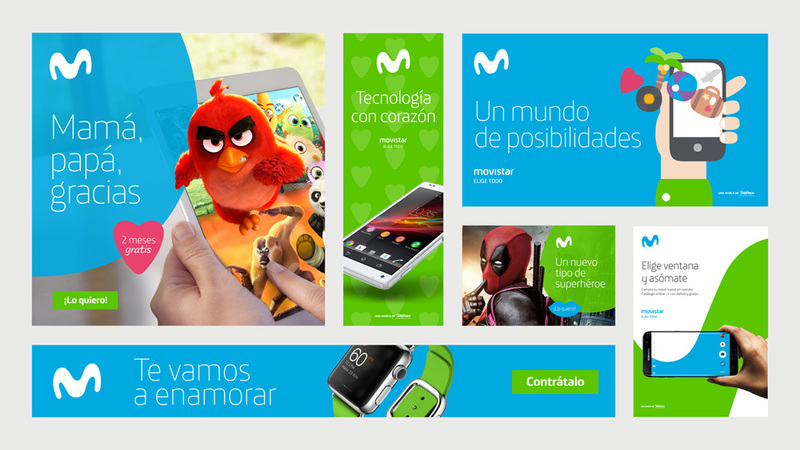 Doubling down on the contour of the “M” and the equity built into it, Movistar is moving forward with what is the obvious (if not “obvious” at least the only viable) aesthetic direction, which is going flat. The booger-y, cold-day, snot-like shape of the “M” still makes me cringe but I am happy to admit that this latest iteration is… kinda cool. Maybe I’m alone in disliking the “M” but this makes the best of a bad graphic situation and gives a freshness to the logo that it never had. The wordmark remains the same, but it plays a secondary role, especially now that the “M” is to Movistar what the swoosh is to Nike. Cropped logo for background curves. The streamlined logo also serves as a graphic device for layouts by blowing it up and cropping it, leading to some large, smooth curves to play with in different layouts. 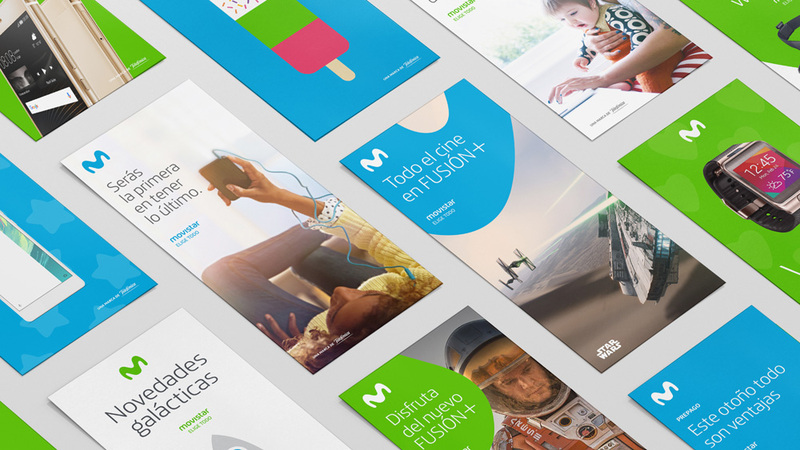 Lambie-Nairn has done a great job in equipping Movistar with a rich set of identity elements that allow for the creation of diverse-looking promos and layouts while maintaining a consistent aesthetic that matches the new smoothness of the logo. The applications are colorful, explosive, and even with an apparent lack of grids — since everything is so curvy — the layouts all come together cohesively. The one element that I’m not a fan of is the light sans serif used. I don’t mind the lightness as if it were a bold font weight I think it might be visual overload but maybe it’s the techie-ness of it that clashes in an odd way with the über friendliness of everything else. Still, it’s all quite convincing. Animated summary of everything you’ve seen above. Overall, this is an insanely difficult job because it’s about arming in-house design teams and dozens of vendors in 14 different countries with a set of visual tools to deploy en masse and this is a very robust, ambitious, and expressive system that I bet was no easy feat to get approved. More importantly, it feels like Movistar and more-more importantly it’s not the swamp thing it originally started as anymore. Established in 1995, Movistar is a telecommunications company owned by Telefónica, one of the largest telephone operators and mobile network providers in the world. 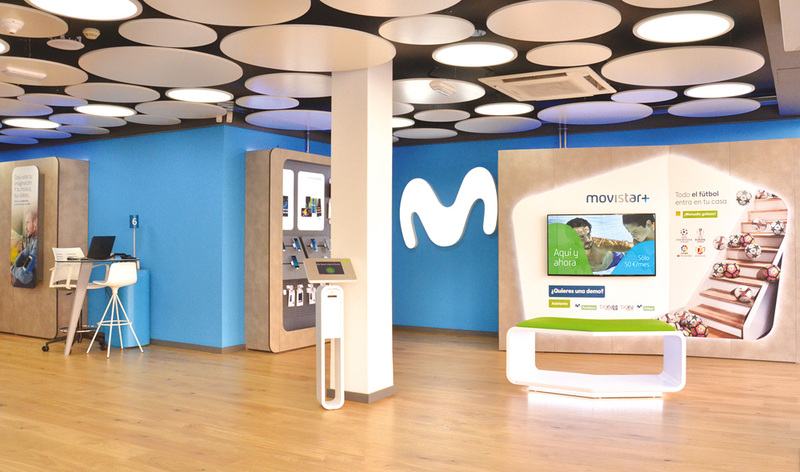 Movistar is Telefónica's Spanish-speaking market brand operating in 14 countries, including Spain where it is the largest mobile phone operator with more than 20 million customers and where it also offers landline, broadband, and pay television services. 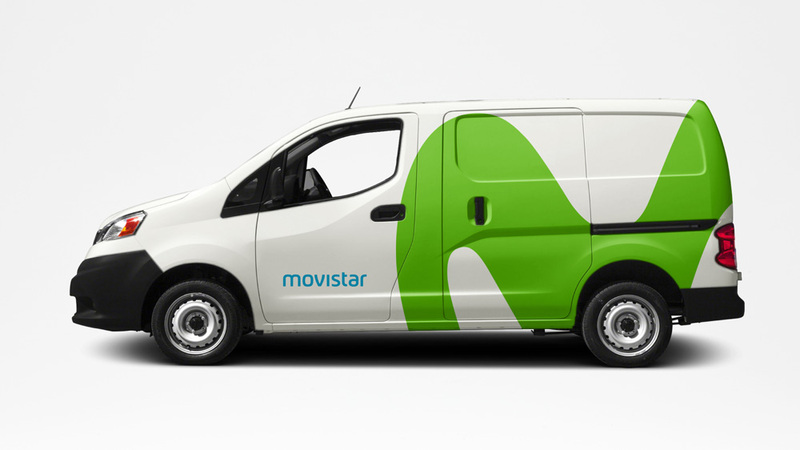 Recently Movistar introduced a refreshed identity designed by Lambie-Nairn.